Although companies collect a great deal of data about their employees, most of them don’t do a good job of leveraging it for insights. The data-analytics revolution, however, has the potential to transform how companies organise, operate, manage talent, and create value. Many executives, however, remain unsure about how to proceed. They’re not confident their businesses are prepared for the required changes, and a lot of companies have yet to fully exploit the data or analytics capabilities they currently possess. 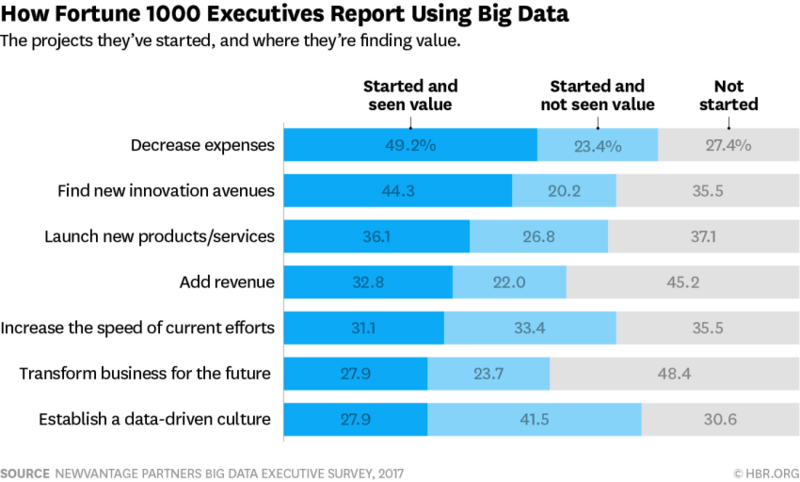 The stakes are high, with International Data Corporation estimating that global business investments in data & analytics (D&A) will surpass $200 billion a year by 2020. Here’s how you too can start putting your employee data into use. First, gather all the touchpoints you have with your employees. Do they log their time and tasks? Do you collect surveys? Do you track their communication with clients or suppliers? Always ask “why?”. Just because you can collect certain information doesn’t mean you should. Before you activate the GPS on your employees’ smartphones or start tracking keystrokes, ask yourself what you’re hoping to learn and what you plan to do with that information. Then, think about how these touchpoints are collected. Are you using a centralised system for tracking tasks, meetings, time, etc.? – Or, is everyone using an individual tool or form of measurement? Is everyone in the company following the same processes, or are they different by department, team, and individual? And finally, be transparent. Before you begin gathering employee data, outline what data will be gathered, who has access to it, and how it will be used. These factors play a huge role in getting accurate data for useful insights and optimisation. Before you can use your data, you have to improve the quality of the information you collect. 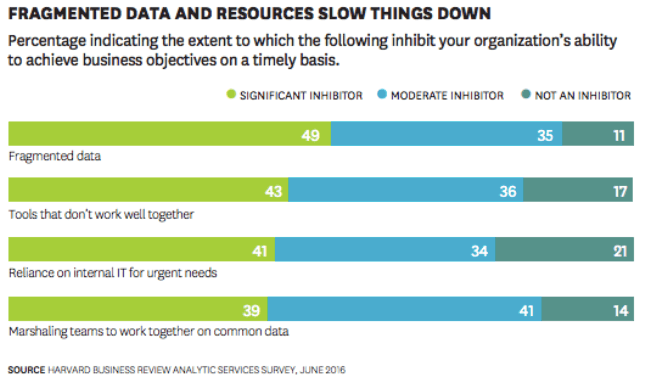 Organisations are being hampered by fragmented data: Harvard Business Review Analytics Services Report showed that 49% of respondents think fragmented data was a significant inhibitor to achieving business objectives on a timely basis. That was followed by the use of tools that don’t work well together. A good system of processes makes it easy for managers and employees to track their work. Furthermore, it gives them valuable insights in real time, which motivates them to provide the input in the first place. 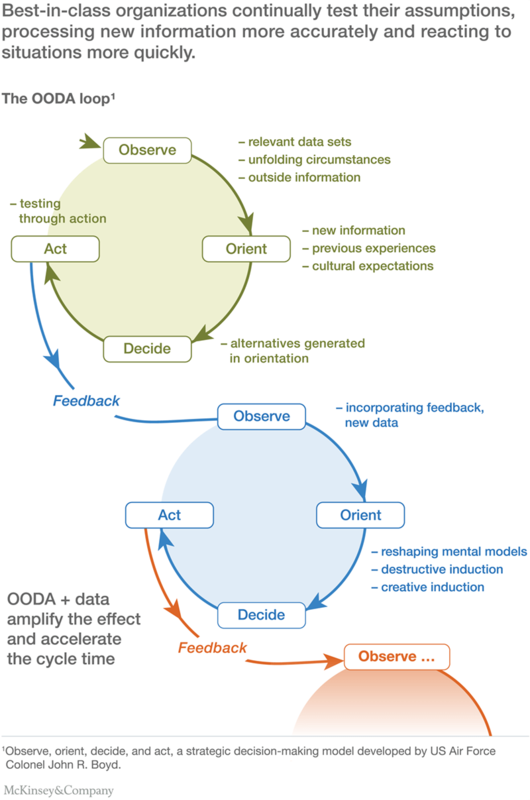 Think through what kind of data will be useful to collect, and then collect it – systematically. Centralised business management software can be an excellent solution for pinpointing and answering both simple and complex business questions. What are the most pressing issues your company has? Have regular conversations with people from throughout the organisation, to identify what kind of data you may need to answer those questions. The most valuable aspect of having a centralized business management system is the possibility to link data for advanced insights. Want to know which client is the most valuable? Relying on just the revenue number is not enough – you need to take into consideration the amount of billable and non-billable hours worked, resources used, and many other factors depending on the industry. To do this, you need to link the data from different sources throughout your organization. Design processes that make it easier to connect the dots between employees, clients, and departments to get as many data points on each case as possible. In most of the cases, the amount and complexity of the data you collect go far beyond the capabilities of what Microsoft Excel can do. 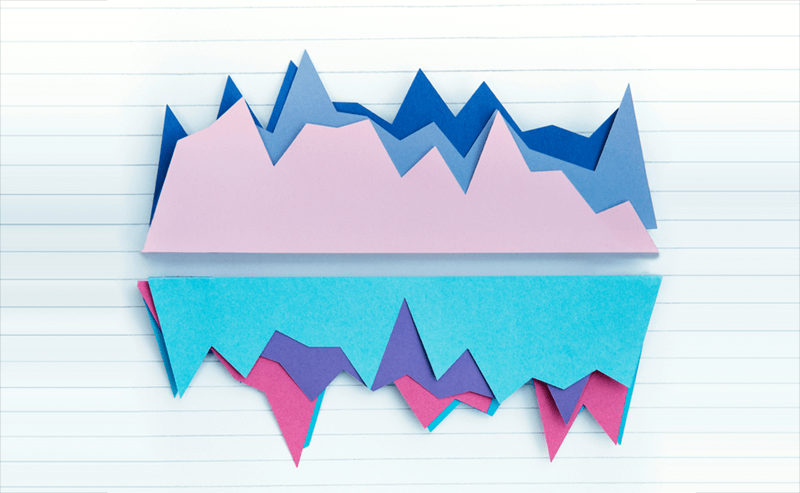 To make sense of the data you need a skilled data analyst… or good software. The latter is excellent for real-time reporting, showcasing the findings on a live dashboard, or insightful forecasts. Business managers often use KPI dashboards that provide a quick overview of their company’s performance and well-being. A KPI tracking dashboard collects, groups, organizes, and visualizes the company’s important metrics, providing a quick overview of business performance and expected growth. Use data to plan, not just to analyze. According to Deloitte, the key is to understand how your employees prefer to work. You can then develop a change management plan and digital workplace strategy that aligns with your organization’s working culture. knowledge across the enterprise with online, seamless, integrated and intuitive collaboration tools that enhance your employees’ ability to work together. As information continues to grow at an unprecedented rate, more tools exist that enable people to create their own content, rather than simply consuming existing content. To ensure the right information reaches the right audience, employees need tools that support two-way communication and the personalization of content. connect across the organization, leverage intellectual property and gain insight from one another. The digital workplace delivers on these goals by fostering a stronger sense of culture and community within the workplace. Big data and analytics have climbed to the top of the corporate agenda – with ample reason. Together, they promise to transform the way many companies do business, delivering performance improvements not seen since the redesign of core processes in the 1990s. As such, these tools and techniques will open new avenues of competitive advantage. Although many problems might seem pressing, you are not the only one faced with them. Competitors can adopt best practices rapidly, and competitive advantages are difficult to sustain. So don’t get left behind, and start using your valuable data to your advantage today.